PHOTOS – Bokang & Siphiwe Tshabalala’s SB kids clothing line. Former Miss South Africa Bokang Montjane- Tshabalala and her football star husband Siphiwe Tshabalala have ventured into an exciting fashion journey. The couple have created their own kiddies clothing range, called SB Kids, which will be available at Jet stores soon. The brand was created for young kids to embrace their Africanness and shine just as brightly as the heroes and princesses in other fairy tales. The collections caters for children between the ages of two and ten and the aim is to inspire and give hope to the young African child. 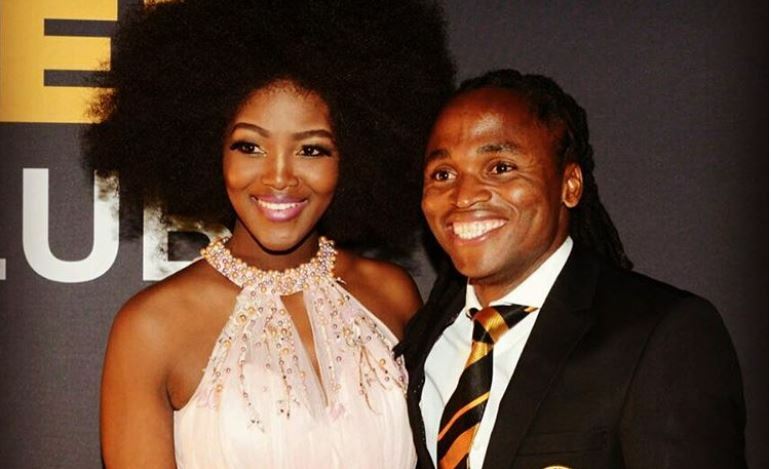 The clothing range includes animated dresses, shirts, pants, and backpacks with images of the pageant beaut (Princess Bokang) and her Kaizer Chiefs partner (Super Shabba) on it. Dear African Child: Remember that you are the coolest African Super Hero and the coolest African Princess in the world!!! You are great, you are amazing, you are beautiful , talented , worth big dreams and more than enough!!! SB Kids will have a launch this weekend at Maponya Mall.